Are you changing out your decor for SUMMER yet? I love to decorate with word art to easily change decor to fit with the seasons. 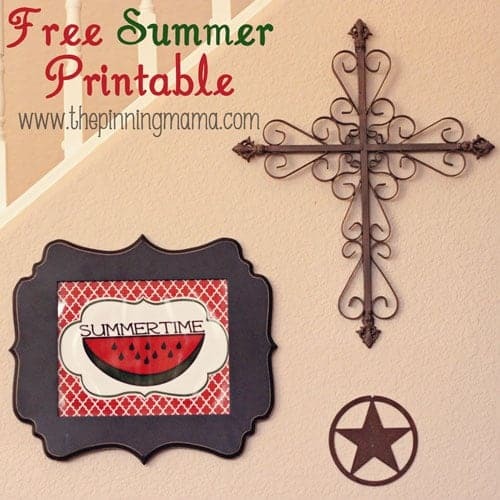 Check out our free Summertime printable word art. It is part of our 2013 Seasonal Collection of Printable word art and is available exclusively to our Facebook Fans. Follow us on Facebook to get access to this special freebie! You might also want to follow The Pinning Mama on Pinterest to see all the free printables and word art we pin! We love to provide free printables to our fans! If you like them and want more of them, please take time to pin it on Pinterest, share it on Facebook, and tell your friends. These are the things that enable our website to continue to bring you freebies and great tips, tricks, and tutorials! Thank you, thank you and THANK YOU! To see the entire FREE 2013 Seasonal collection of Free Printables and how to layer them in one frame for instant seasonal decor click the link. Or to see all the freebies we offer on The Pinning Mama click here. What other freebies would you like to see from The Pinning Mama in the coming months? That’s really cute! Who doesn’t love Watermelon? Thanks Jen! I looooove watermelon! I need to be better about using printables and swapping out art each season!! Thanks for sharing it with us on the LOBS party! Love your printable! Found you on the LOBP. Very cute! Thanks Raquel! So glad you enjoyed it! We have lots of freebies on the site so make sure you check out our others! Super cute printable! Summer seems to be taking its sweet time in my neck of the woods, but it’s finally here. 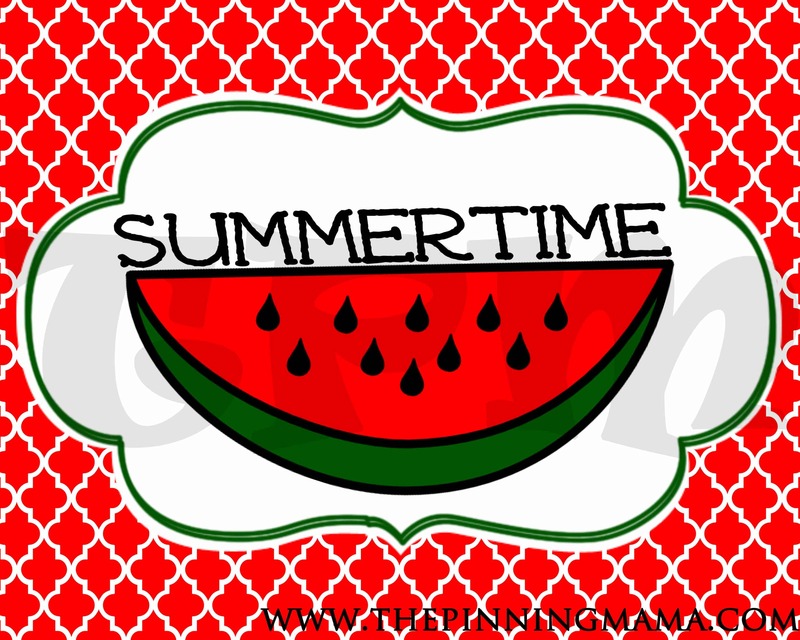 A stylized watermelon graphic is right on time! Let’s LOBS party on, ladies! Thanks for the note! I am glad you enjoyed the printable. We live in the desert so we have been having summer for about 4 months now haha!